Back in the fall, I joined the Abrams Dinner Party. It’s a group run by Abrams Books in which they select a collection of bloggers, writers, and influences and send us all their newly released cookbooks. This has brought some really great volumes into world, my very favorite of which has been Korean Home Cooking. They recently sent the spring stack of books and I’ve slowly been making my way through them (this pregnancy has forced me to trim my ambitions in a big way. Gestating twins is hard work!). 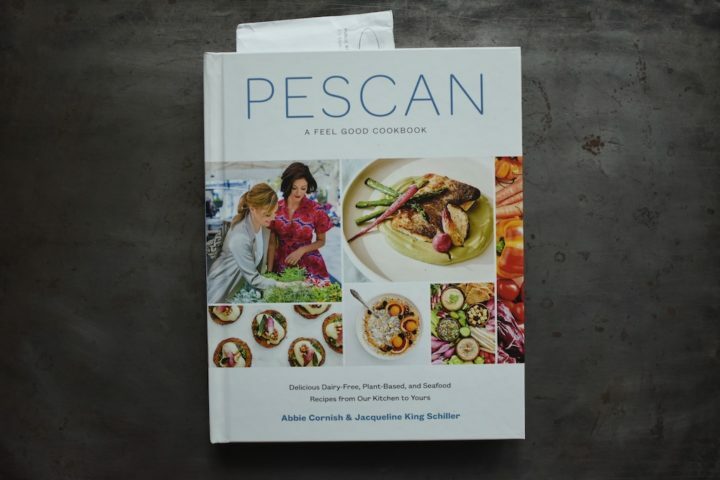 So far, the only one I’ve managed to bring into the kitchen has been Pescan by Abbie Cornish and Jacqueline King Schiller. 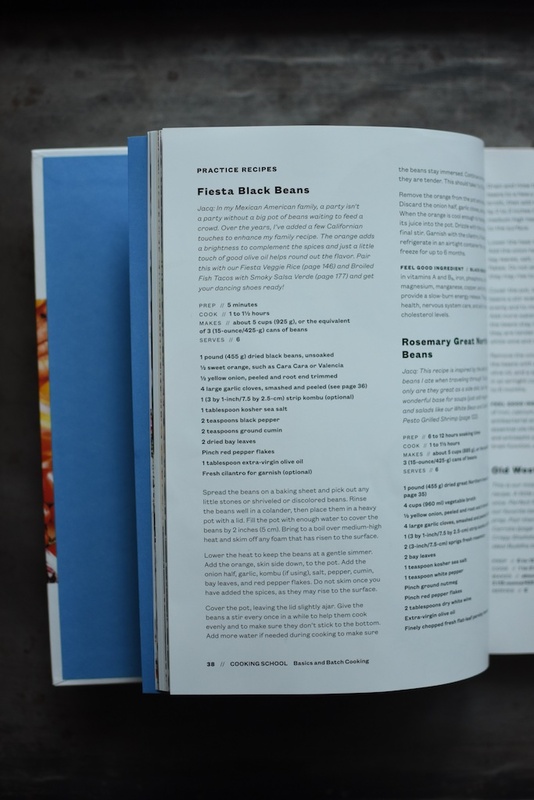 It’s a book that features mostly plant-based, dairy-free recipes (it includes some seafood and eggs) and it was the page on beans that caught my eye. I cook a lot of dried beans, but I mostly keep them simple in the hopes that they’ll be flexible and versatile. These beans are the opposite of my normal beans. They include onion, garlic, half an orange, cumin, bay leaves, and more. They are incredibly flavorful and the night we ate them, my husband and I both kept commenting on how much we were enjoying them. Scott left town the morning after we ate them together and I proceeded to live on the leftovers while he was out of town. Twice I ate them as pictured above, over rice and chopped arugula and topped by sour cream, grated cheddar, and a scoop of homemade salsa. Later, I stirred them together with the remaining rice and salsa, along with some baby spinach and turned them into a soupy, pseudo-casserole that made a very nice lunch. I plan on exploring more of this book, but in the nearer term, I’ll be making these beans again. Spread the beans on a baking sheet and pick out any little stones or shriveled or discolored beans. Rinse the beans well in a colander, then place them in a heavy pot with a lid. Fill the pot with enough water to cover the beans by 2 inches (5 cm). Bring to a boil over medium-high heat and skim off any foam that has risen to the surface. Lower the heat to keep the beans at a gentle simmer. Add the orange, skin side down, to the pot. Add the onion half, garlic, kombu (if using), salt, pepper, cumin, bay leaves, and red pepper flakes. Do not skim once you have added the spices, as they may rise to the surface. Cover the pot, leaving the lid slightly ajar. Give the beans a stir every once in a while to help them cook evenly and to make sure they don't stick to the bottom. Add more water if needed during cooking to make sure the beans stay immersed. Continue simmering until they are tender. This should take 1 to 1 1/2 hours. Remove the orange from the pot and set aside. Discard the onion half, garlic cloves, and bay leaves. When the orange is cool enough to handle, squeeze its juice into the pot. Drizzle with the oil and give it a final stir. Garnish with the cilantro, if desired. 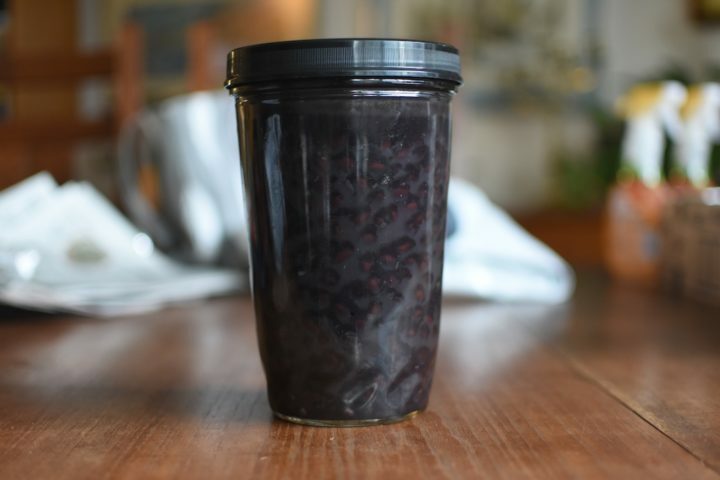 Cool and refrigerate in an airtight container for up to to five days or freeze for up to 6 months. If you prefer, you can also make these beans in an Instant Pot. Add all the ingredients at the start and cook them under pressure for 35 minutes. This recipe is excerpted from Pescan by Abbie Cornish and Jacqueline King Schiller. We eat beans as a main course at least weekly, and live on the leftovers for lunch often. I’m excited to try this recipe! I made this last night. 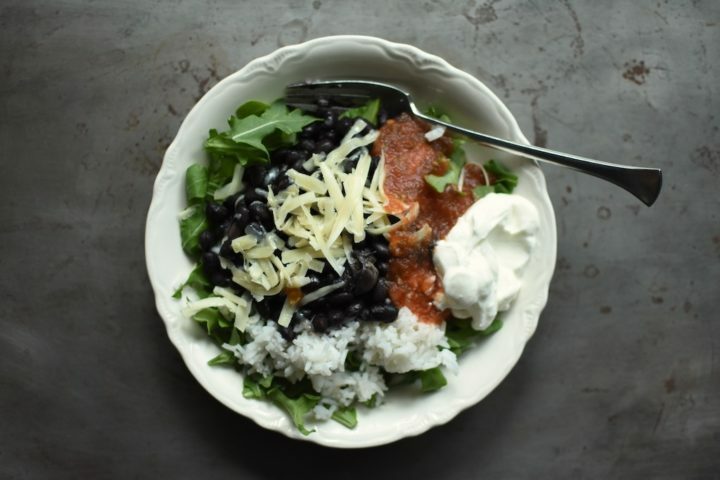 I’ve been lookin for some good bean recipes to make it easier and more interesting to take lunch to work – and improve the amount of complete proteins I’m getting. This was really good! I think adding some fresh greens to the meal would definitely improve it over how I ate it today, but I will definitely be making this again and am going to have to check out the book as well.